Delivered directly to your home ! 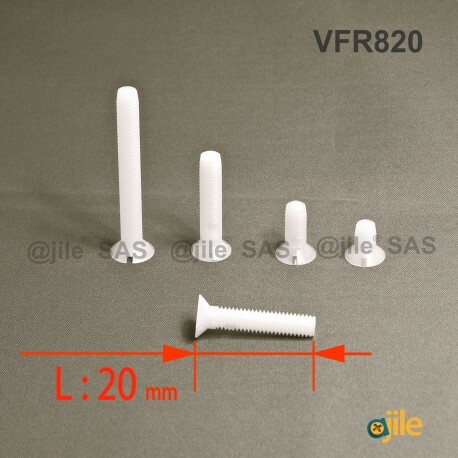 For the purchase of M8 x 20 DIN963 : Slotted plastic countersunk screw: diam. M8 length 20 mm trust ajile.biz, screws & hardware online leader in Europe ! Thousands of references are present in our catalogue so that you can buy screws, nuts, bits, bolts, hooks and much more ! The minimum purchase order quantity for the product is 4. Industrial quality, made in France. 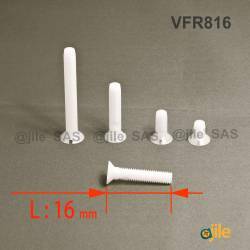 M8 x 20 DIN963 : Slotted plastic countersunk screw: diam. 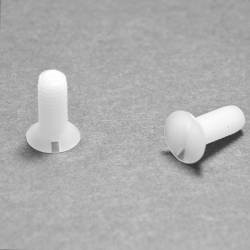 M8 length 20 mm by the online hardware leader ! The M8 x 20 DIN963 : Slotted plastic countersunk screw: diam. M8 length 20 mm is light and sturdy, lighter than its metallic counterpart, and lighter is often better, just ask anyone who is passionate about aeromodelling. 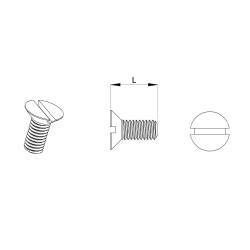 Thanks to its dielectric properties, electricians often use these screws, nuts and washers. Not only does it insulate effectively, it prevents corrosion (doesnt rust), comes in handy in humid or aggressiv environments (swimming pool, filter and pump rooms, boats) and is resistant to most chemical agents. 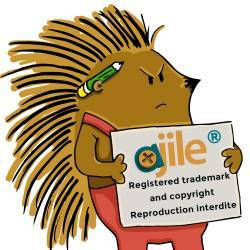 Ajile.biz is a hardware and fastener online store based in France. Being specialists in hardware we possess a large range of products consisting of nuts, bolts, screws, hooks, inserts and protection caps.